My name is Matthew Maggy. This is my blog (although, I think the URL and site title might have given that away). This isn’t some money making blog. It’s mostly just a place for me to write about my interests. I don’t really care if anybody even reads this blog (but they should because it’s awesome). You hear that, comment spammers! I won’t be purchasing your website promotion services, so don’t ask! Posts will vary as much as my interests which include Politics, History, Pro-Wrestling, Productivity, American Football, Genealogy, Travel, and even some things from my personal life; oh, and probably a lot of puns and sarcastic/witty observations. I live in the Richmond, Virignia Metro Area. 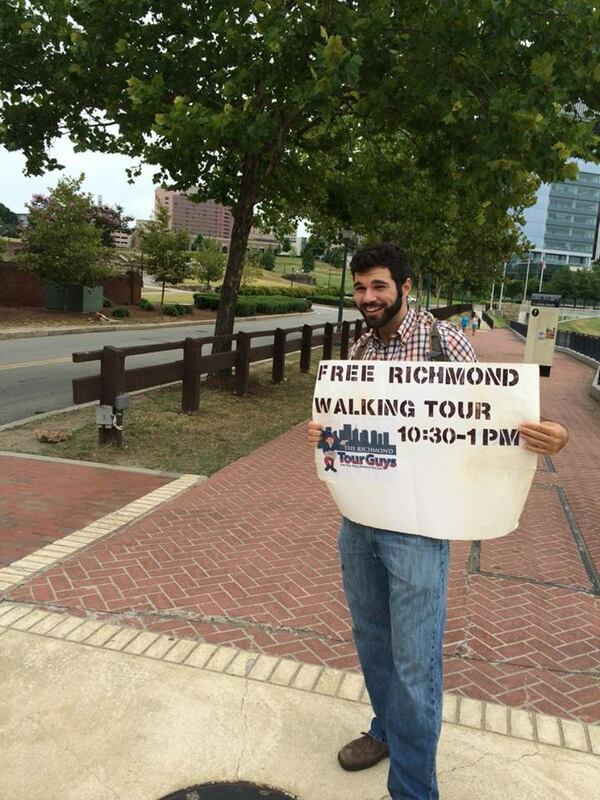 I have a hobby/business (Richmond Tour Guys) where I give free historical walking tours of Richmond in exchange for tips. I started in 2014 with the same tour on 2 different days all by myself and now have 3 other guides and run 6 tours of different routes per week. We are the #3 rated tour on TripAdvisor, but we’re number one in your hearts. The website also a blog on Richmond History, so be sure to check it out! We also have a real estate investing business, in which we buy, sell, hold, and rent out clean, safe, and affordable housing. I am a part of Richmond Randolph Masonic Lodge #19 as the current Secretary. Our lodge building, Historic Masons’ Hall, was built in 1785, making it the oldest building used for Masonic purposes in the United States, listed on the National Register of Historic Places. I have the honor of being the “Head Docent” which basically mean I wrangle people for open houses and give tours to visiting brethren. I also currently serve on the Junior Board of the Historic Richmond Foundation who has been saving historic buildings and revitalizing Richmond’s Neighborhoods since the 1950s. I am originally from Richmond, CA in the San Francisco Bay Area. Actually, I’m from El Sobrante, CA which is next to Richmond, but it makes for nicer irony with my current location. I use to rap, even making a (poorly) self-produced CD in high school. My name was Math Matikz. I played High School Football for Salesian Highschool as an Offensive and Defensive Tackle. I lived in San Francisco City proper for 3 years from 18-21 while I worked retail and attended school. After my parents passed away, I moved to Reno, NV in 2007. I worked a bit in the retail sales industry for Comp USA and finished school; graduating with a Bachelor of Science in Political Science and a Minor in Economic Policy from University of Nevada – Reno becoming a part of the illustrious Phi Delta Theta Fraternity. After a few temporary positions at various non-profits and as a pizza delivery guy (usually at the same time), I took a position through Americorps VISTA working in, beautiful, rural Amelia, VA for the Virginia Cooperative Extension Amelia Office. I did mostly grant-writing, volunteer recruitment for the Master Financial and Nutrition Programs, volunteer management, managed a newsletter, and got to know a wonderful community. 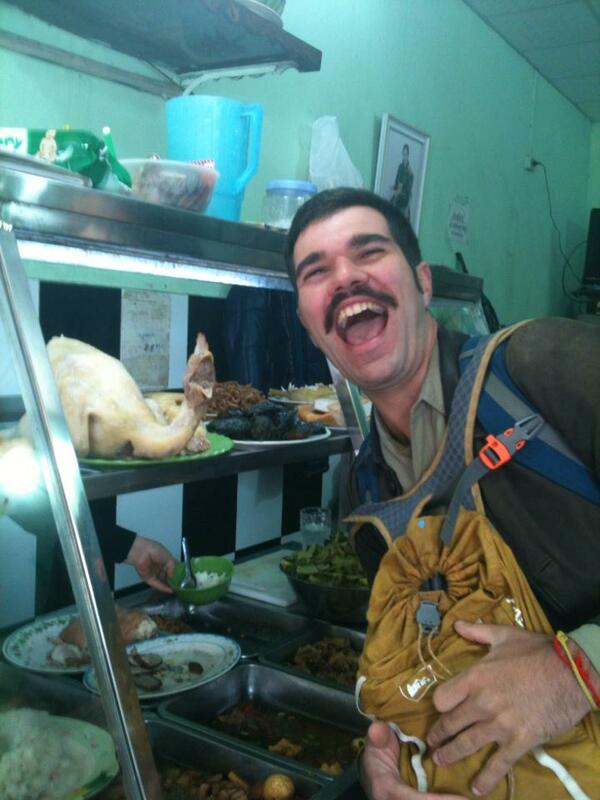 Then I took off on my epic round-the-world trip for 8 months starting in soggy Scotland, making my way down to Granada, Spain where I worked as a historical tour and food tour guide, doing some bar promoting and light bar tending in beach-town Sihanoukhville, Cambodia, and ending up in the faux-socialist Republic of Vietnam where I rode an ostrich. In March of 2014, I realized in a beach town in Cambodia that I loved the girl I left behind in Richmond and came back home with new knowledge of the world and myself. This was the end of one my “Hero’s Journeys” And the beginning of a new one. From 2014-2017, I worked for a general contractor that specializes in Historical Restoration called Restoration Builders of Virginia. They do great work. If you live in Virginia, and have a historic property, you should use them. My job was to handle permits, write contracts, answer phones, and a host of other Project Management support duties. Matthew Maggy, the legend continues….